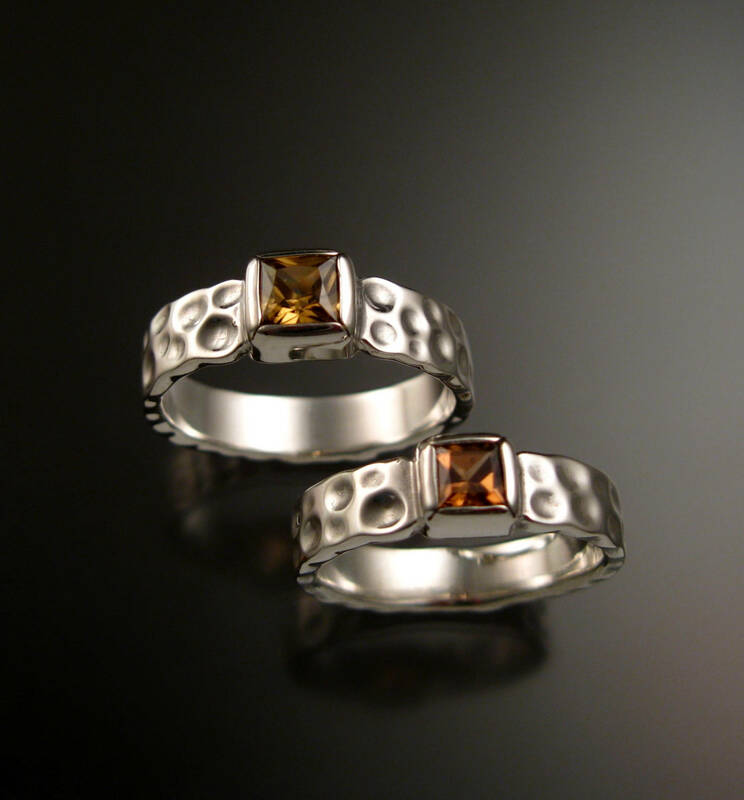 This beautiful square Cinnamon colored natural Zircon His and Hers set is a nice substitute for Chocolate Diamond. 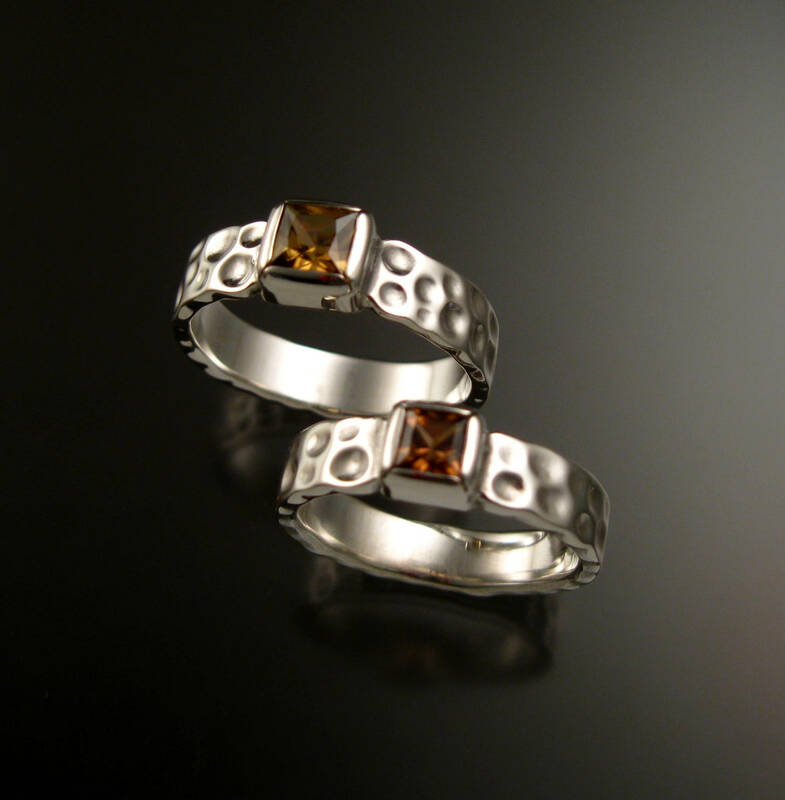 Bezel set stones... His is 6mm with with 1 1/2mm thick and 5mm wide band. 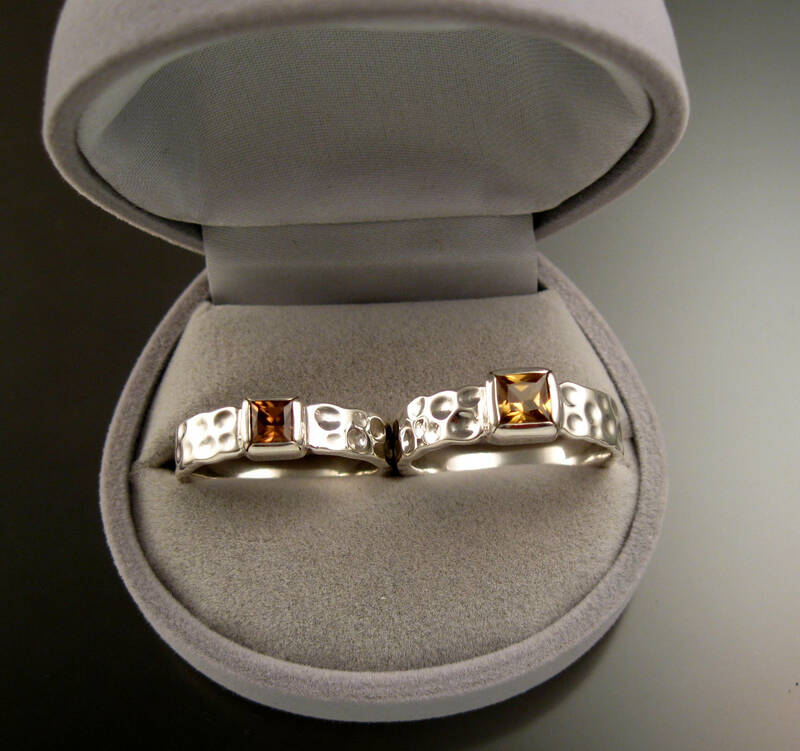 Her's uses a 4mm stone and the band is 1.5mm thick by 4.2mm wide. 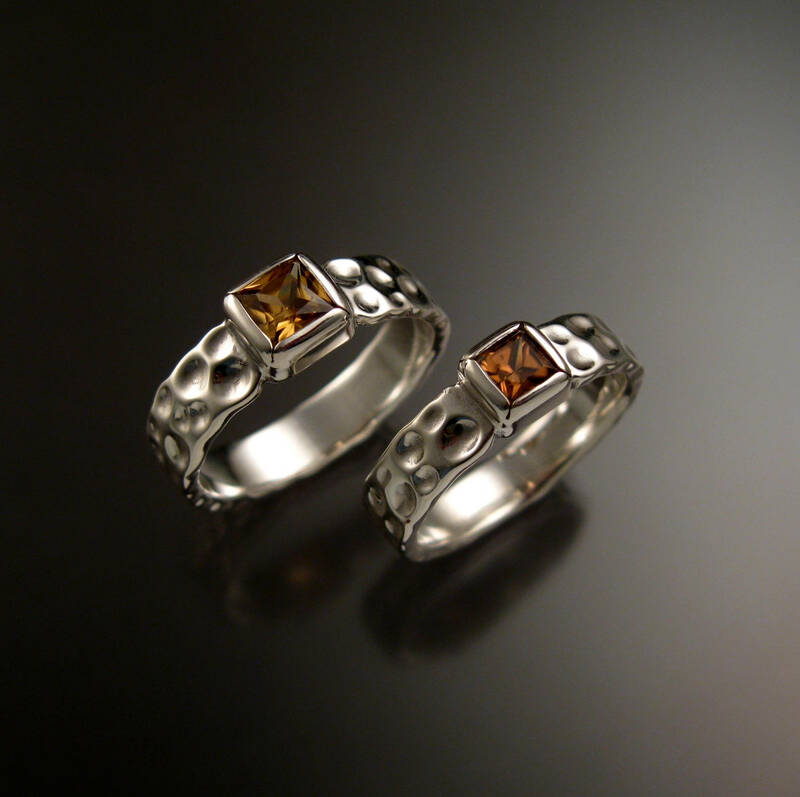 I can make this ring set for you in any size between 4 and 8 for her and size 6 to 11 for him. 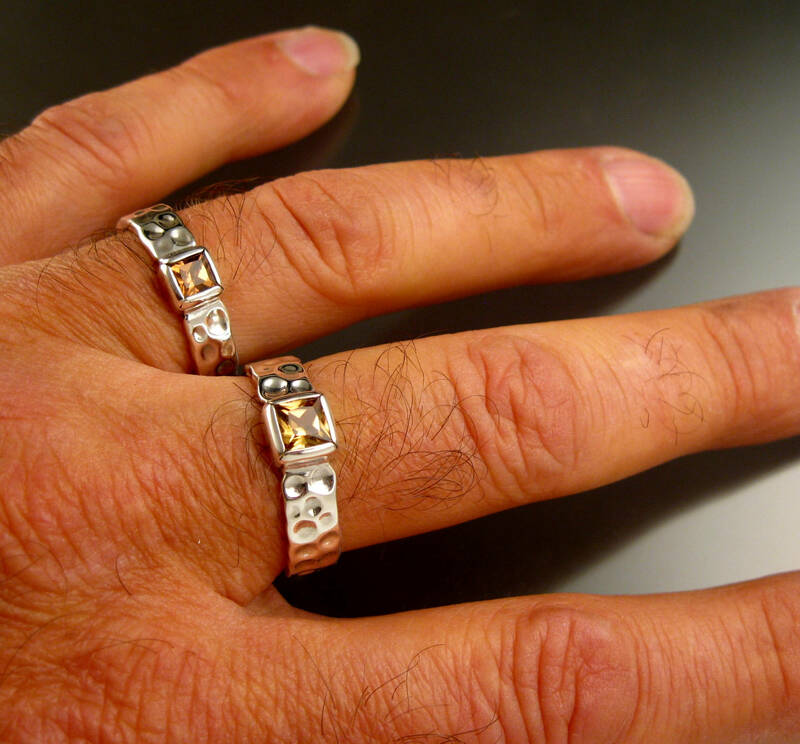 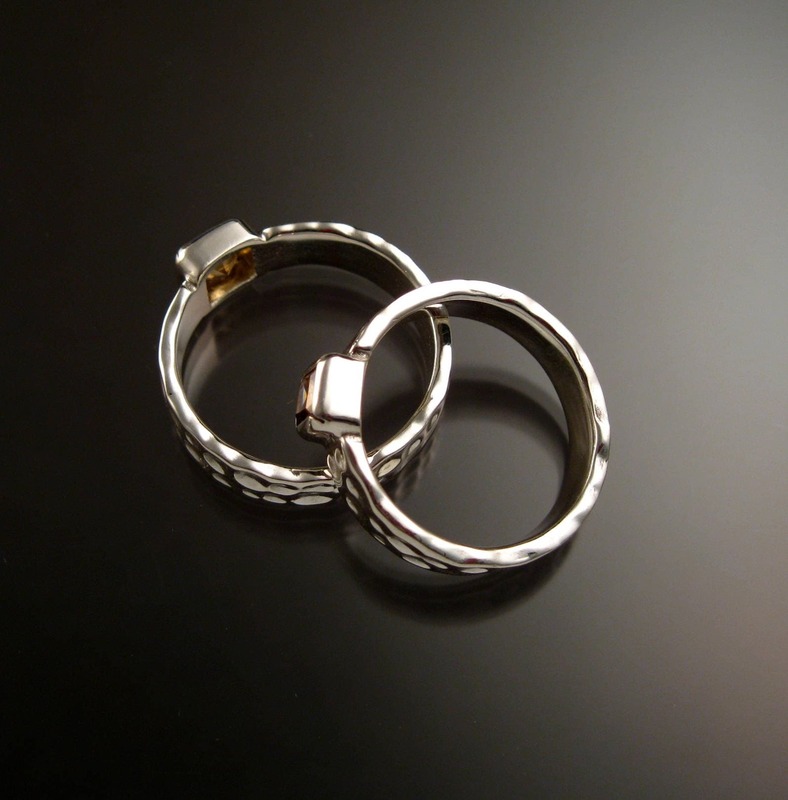 Specify you ring sizes in a "note to seller" at check out.